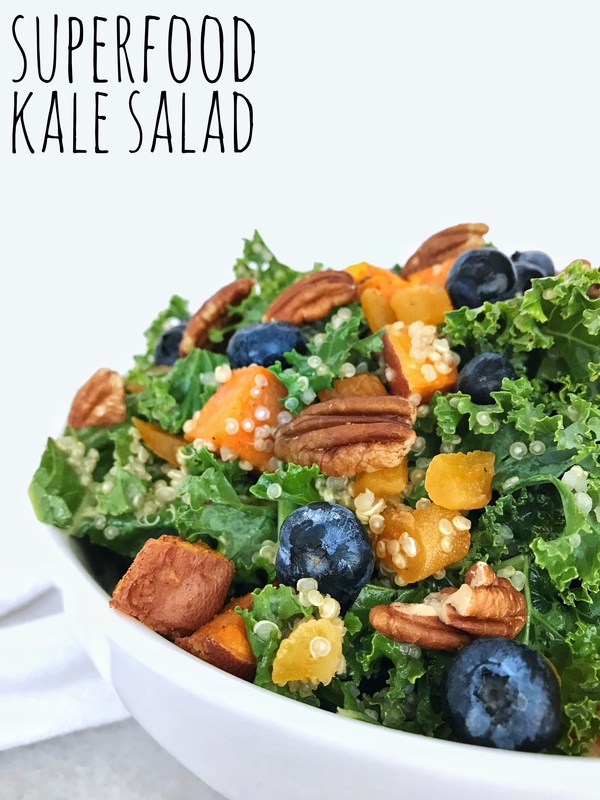 This superfood salad has roasted sweet potatoes, quinoa, fresh blueberries, dried apricots, and pecans. You might be wondering what a superfood is? Superfoods are nutritionally dense foods that are packed with vitamins, minerals, and are thought to ward off long-term health problems, like cancer and heart disease.